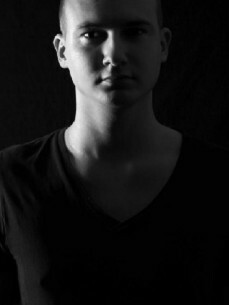 Only 19 years old and one the most booked house DJ’s from Sealand (province in the Netherlands). Every weekend a lot of party people experience irresistible house vibes coming from the hands of Funky Ro. He did a big amount of clubs and parties and has a residence in one of the most trendy clubs in The Netherlands: Club Devo. Funky Ro also known as Robert Waverijn is born for this job. His love for house Music was always there. You can describe his style as Funky, Soulfull, Melodic, Laidback and intense. Funky Ro is not only a DJ but a talented producer also. That resulted in a impressive discography and that list is becoming bigger and bigger! He did some remixes for Nicky Romero, Santos Suarez,Kid Kao & Jeff Doubleu, Vato Gonzalez & Rene Kuppens and a lot more. These tracks are supported by a lot of wellknowned DJ’s like prok & Fitch, Leroy Styles, Erick E, DJ Jean, Kobbe & Austin Leeds. Funky Ro isn’t lazy and runs his own recordlabel: HouseFreakaz with his DJ/Producer friend: JNS! With HouseFreakaz they try to bring qualitiy Music to the World. Beware of this youngster and put your hand up to him if you see him in the club!